It's been a while since I've done one of these posts, mostly because I was trying to be a good little girl and save money for my overseas trip by imposing a book-buying-ban on myself. The ban didn't work 100% but it did stop me from placing large orders for books online. Well, the overseas trip is done and dusted (and so is the credit card, have now hidden so the paying-off and no further spending on it can begin!) and therefore I have plunged back into the world of online book buying. Yes, I know what you're thinking, shouldn't I Not be buying books with a credit card to pay off? Well, yes, you're right, but I had to buy one of the books and so to make it worth it you need to add a few more titles considering you pay $6.50 postage whether you buy 1 or 5 books! See my thinking? 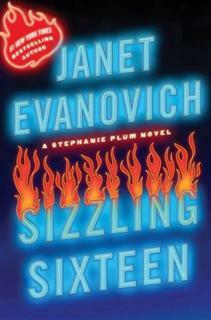 Sizzlin' Sixteen by Janet Evanovich, the latest in the Stephanie Plum series. This series started feeling a little tired about 5 books ago, but I just can't get enough of Morelli (and to a lesser extent Ranger, if you've read the books you'll know who I'm talking about and no doubt have a strong opinion on who you would choose!) and will continue to read these until she writes them no more. 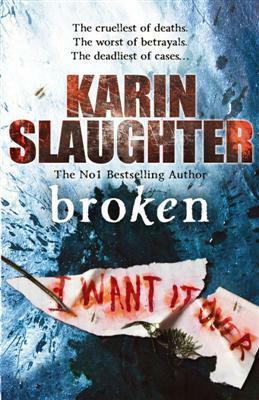 I've also ordered the latest from Karin Slaughter, who, if you're a regular reader of this blog, you'll know I became a little obsessed with her Grant County series towards the end of last year, earlier this year. I'm a little scared to read this one after what happened to one of the main characters a book ago, but I'm willing to give it a try. 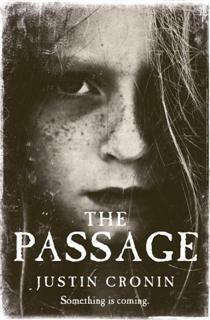 I've also ordered The Passage by Justin Cronin a new title that was getting heaps of buzz in the US at the Book Expo. ...As civilization swiftly crumbles into a primal landscape of predators and prey, two people flee in search of sanctuary. FBI agent Brad Wolgast is a good man haunted by what he's done in the line of duty. Six-year-old orphan Amy Harper Bellafonte is a refugee from the doomed scientific project that has triggered apocalypse. He is determined to protect her from the horror set loose by her captors. But for Amy, escaping the bloody fallout is only the beginning of a much longer odyssey—spanning miles and decades—towards the time and place where she must finish what should never have begun. It sounds pretty interesting but I'm a bit wary of the hype, I've tried to steer clear of reviews so my opinion isn't too influenced before I read it. And I don't really like this cover, I prefer the American version (to the right). So that's what I'm waitin' on. Are you waitin' on anything in particular, books, clothes, anything? If you are I'd love to hear about it!